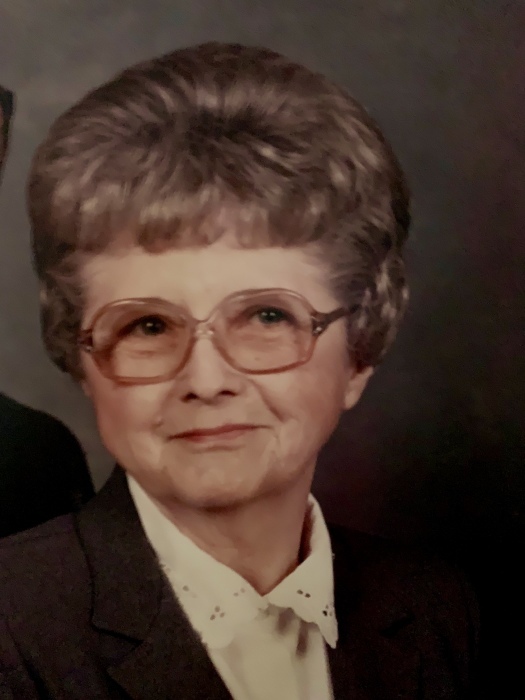 Dorothy Shirron Denton, age 100, of Sparkman, passed away on Saturday, February 9, 2019. She was born January 29, 1919 in the Mt. Olivet Community near Sparkman, one of twelve children to the late Jim and Sally Shaddock Shirron. She was a longtime faithful member of Sparkman United Methodist Church where she taught Sunday School for many years. She served as Sparkman School’s Dietician for nearly twenty years. Her dedication to the church was well known as was her dedication to her family. Dorothy enjoyed cooking for her family and friends until shortly before her 100th birthday. In addition to her parents she was preceded in death by her husband of fifty-seven years, Zola “Sport” Denton; daughter, Betty Daily; son, Danny Denton and grandson, Steve Daily. She was also preceded by six brothers, Guy, Bo, Clyde, Benny, Melvin and Morgan Shirron; four sisters, Elizabeth Dunlap Judson, Orabell St. John, Alpha St. John and Versie Key Tilly. Service will be 2:00 PM Tuesday, February 12th at Sparkman United Methodist Church with Peggy Abbott and Bob Langley officiating. Burial will follow at DeLamar Cemetery. Pallbearers are Chris Abbott, David Brazeale, Steve Mann, Irwin Seale, John Clark Taylor and Donny White. Honorary pallbearers are Jimmy Abbott, Gene Breazeale, Henry Nalls and D. W. Rash. Memorials may be made to Sparkman United Methodist Church or to DeLamar Cemetery Association.